WHITRAP-Shanghai discusses with Jérémie Descamps, urban planner and sinologist, founder and editor in chief of Modumag. It is an English-language, online multi-media platform offering articles, information on recent research, news and event, as well as an interactive smart map geo-localizing and informing on urban and architectural projects in China. 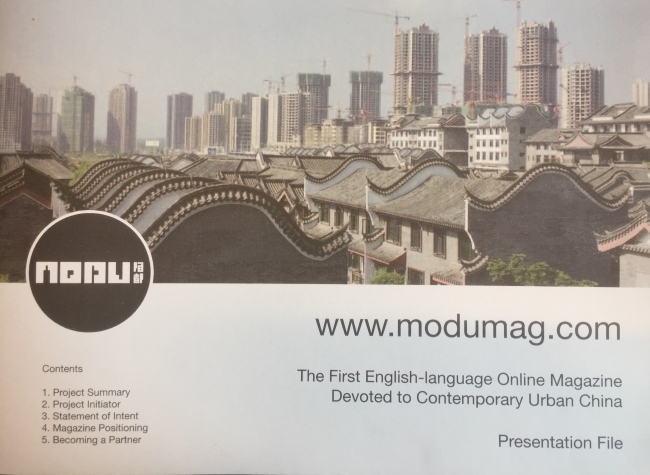 Modumag focuses on city development and trends in China today. It looks into all the diverse experiences and experimentations at play today in cities from a planning perspective, as well as a sociological and artistic perspective. The key objective of this innovative magazine is to promote new Chinese know-how and valorize Western knowledge on Urban China. It aims to present to a wider audience the ongoing dialogue between Chinese and European practices in the area of sustainable urban and territorial development.